We fur parents like to think that our dog is the smartest dog around. Research however has shown that even those breeds that are not known for their smarts can become smarter. How you might ask? Walking your dog regularly in new and exciting surroundings is how! If you have a puppy it is vital to get them out and about socialising with other dogs – in particular with older dogs. Socializing your pup with older dogs is a great way he or she can learn manners that we as humans cannot teach. When your dog goes to new places they experience new smells and hazards, which in turn causes them to learn and grow. So if you compare a dog that spends most of its days indoors to one that hikes up mountains, you can guess which one will be smarter. This is a fantastic place to bring a puppy for socializing with other dogs. 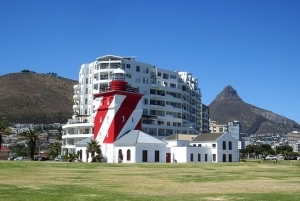 The park extends from the Mouille Point lighthouse all the way towards the V&A Waterfront. You can bring along a Sunday a picnic or stop by the pet friendly restaurant Sotana across the road. If you are coming during the week then make sure that you head to the park at around five-thirty in the evening as that is when all the dog owners in the area come out to play! Please bear in mind when taking your dog to this park that there are no fences that prevent your pooch from running onto the road so be sure that you either have full control of your dog or a jar of Meradog Goody Snacks to keep him by your side! Address: 121 Beach Road, Mouille Point, Cape Town. Opening Hours: Always open but noise levels to be kept down between 8pm and 7am. Unlike Mouille Point, De Waal Park is fully enclosed so even if your pooch is not amazing at listening, he isn’t going very far. De Waal Park is a great place to train your dog if you have chosen to do so yourself. On weekends the park is packed with children, adults and other dogs so your clever boy will not only be able to socialise with unknown dogs and humans but will quickly learn how to behave around outgoing children. For those that don’t mind their dogs getting super wet and muddy (because that is what dogs do); there is a big fountain in the middle of the park where you can find all the dogs taking a little dip! Summer is a great time to be on the beach but that also means that most days you will have to leave your beloved pooch at home while you catch some sun. 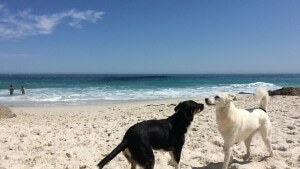 In the winter months in Cape Town many beaches are pet friendly within certain hours and in summer dogs are not allowed at all on most of the beaches. There is a light at the end of the tunnel though as Clifton 1st is an always pet friendly beach. Hooray! So grab some refreshments, bring a jar of Meradog Goody Snacks for your doggy doodle (obviously!) and head down to the beach at around 5:30pm and wait for the magical sunset at 7:30pm. Oh life can be tough in Cape Town! Please be sure you have something to create shade for your dog if you choose to go on a very hot day and of course don’t forget to bring some water! Address: Clifton 1st, Clifton, Cape Town. Opening hours: Always open. 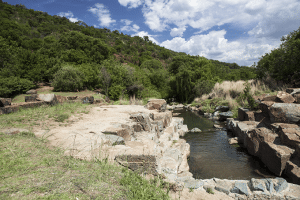 Located in Fourways, the Echo Dog Park is a perfect place to let your dog run around without a leash to their hearts content. The park serves as an almost-recreational centre for your dog. This is a fantastic place to introduce puppies to other dogs and get them socialized. If you are into more adventurous activities with your dog then you can do a small hike or even join a Sunday morning group that does hikes with their dogs. Now we’re talking! Address: Riversands Farm, Fourways, Johannesburg. Opening hours: Saturdays and Sundays from 07:00 until late. Walkhaven truly lives up to its name. This park is 22 hectares of leash free heaven for your dogs. Within the park you will find human friendly restaurants such as Pizza Mutt and The Dog Box where dogs run the show. The park also offers a kennelling service at Jurassic Bark. If your pooch is in need of some pampering then why not stop by Dogomat where your pooch will receive a spa treatment. This is quite literally dog heaven. The entrance fee is R10 per child and R20 per adult. 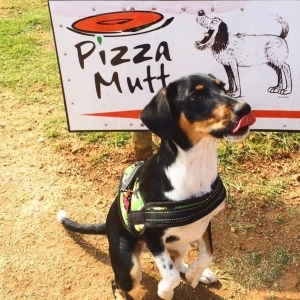 Although the name may not sound appealing, The Sandton Field and Study Centre is a perfect place for your dog to run off the leash. Within the park there is a horse stable, crèche, and a pet friendly restaurant called the River Cafe. 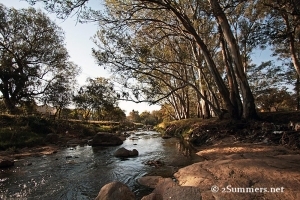 Your dog will love the park if they love to swim as the park runs along a river. Address: Louise Avenue Parkmore, Cnr 14th Street, Johannesburg. Should you be dressing up your dog for Halloween?